It's a big day, y'all!! 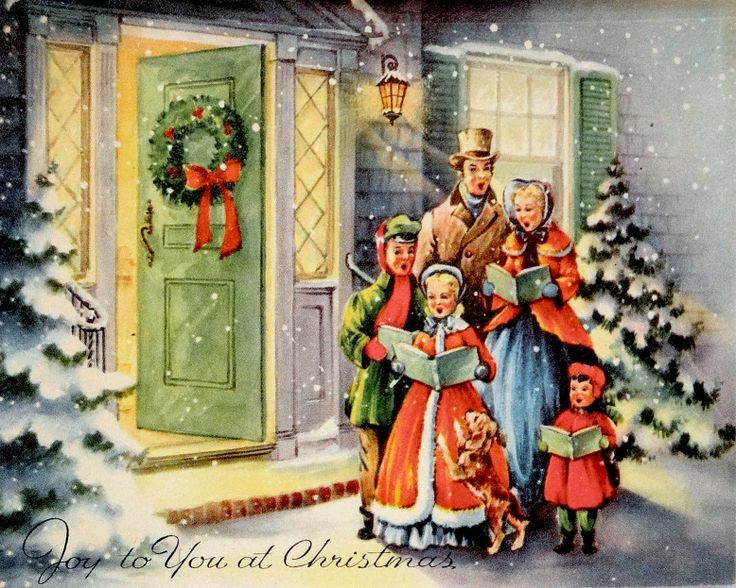 It's December!! Hard to imagine it is already here. Is it just me or did this year fly by? 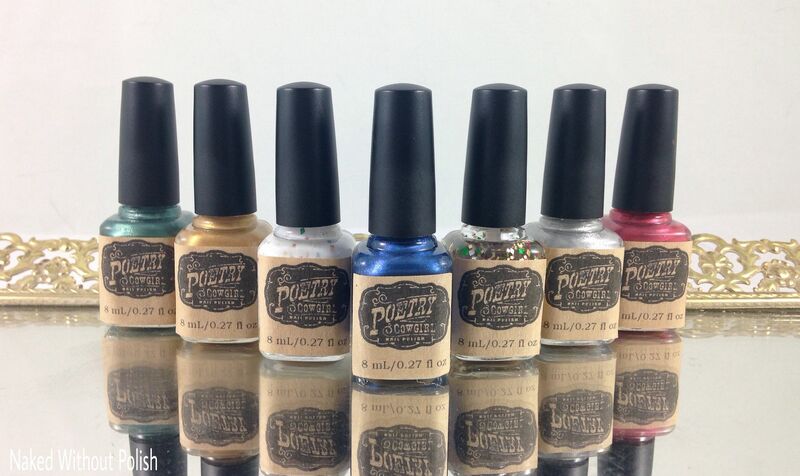 Doesn't seem like it was all that long ago that I started the 25 Days of Polish Giveaway. Well, that is starting back up again today! 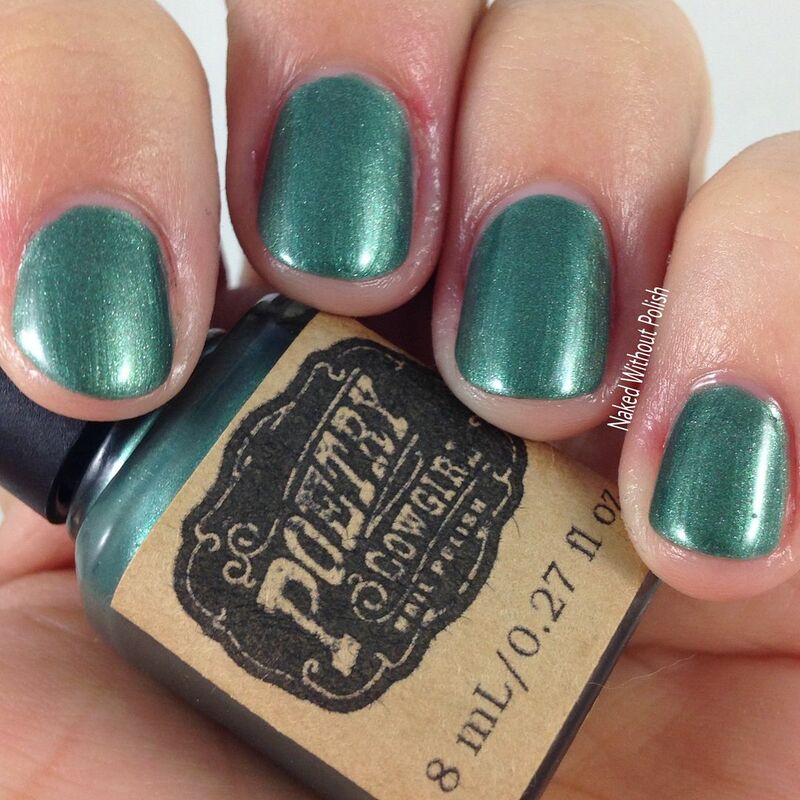 But first, I get to show you the gorgeous Victorian Christmas Collection from Poetry Cowgirl Nail Polish. It's so nice to have this brand back on the blog. It has been far too long (since my anniversary giveaway I believe). The Victorian Christmas Collection is a set of seven polishes...mostly metallic shimmers with a crelly and a topper mixed in there. 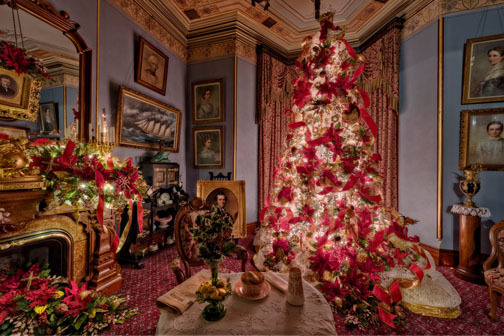 Each color and name is inspired by various Victorian Era Christmas things: songs, decorations, clothing, games, etc... I don't know much about this era, but the polishes are rich and elegant. 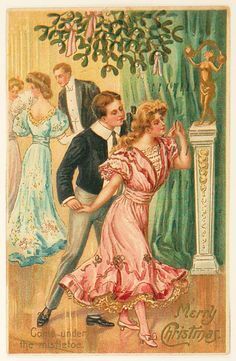 Both words I definitely use to describe the Victorian Era. Keep reading to find out more and to enter the giveaway. Tinsel is described as "a fun glitter topper packed with red, gree, gold, silver, and white glitter". 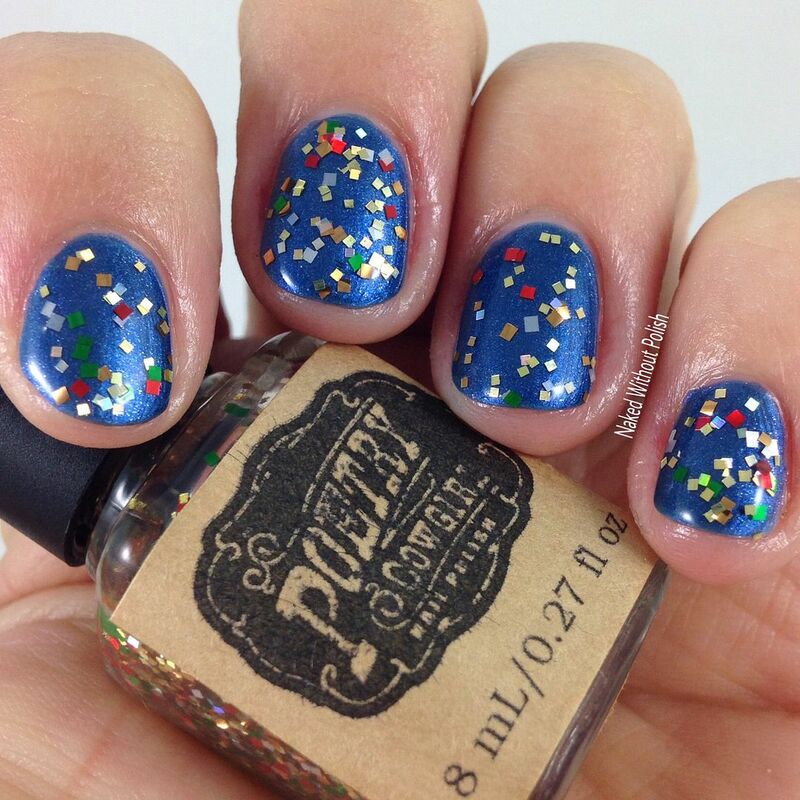 Shown is one coat of Tinsel over Caroling Dress with top coat. Tinsel is simple and classic, yet fun and versatile. 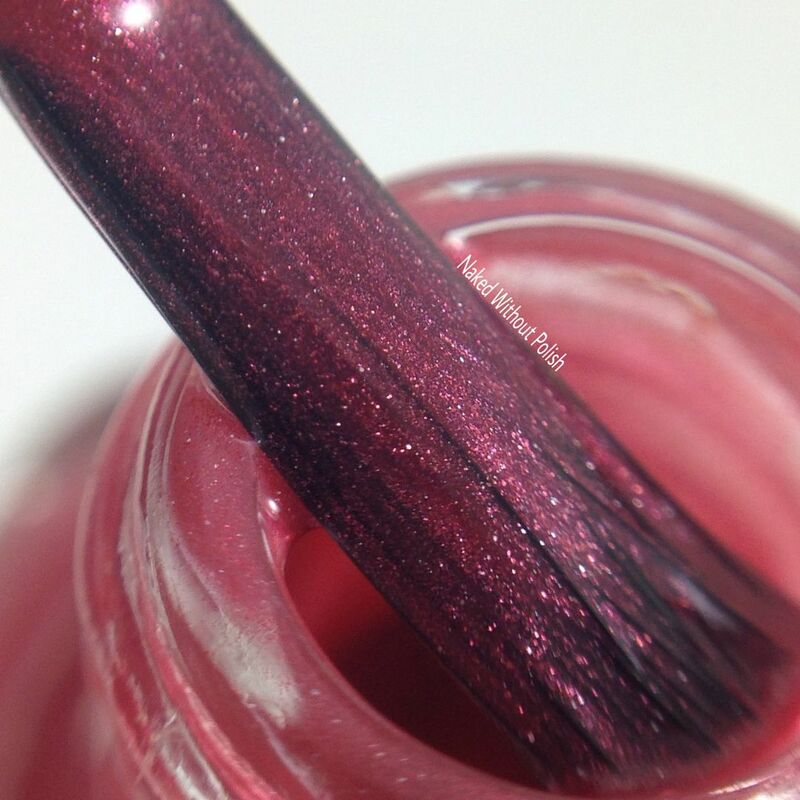 You get a good amount of glitter out with one dip into the bottle. If you want more glitter, I suggest going with the sponging method. 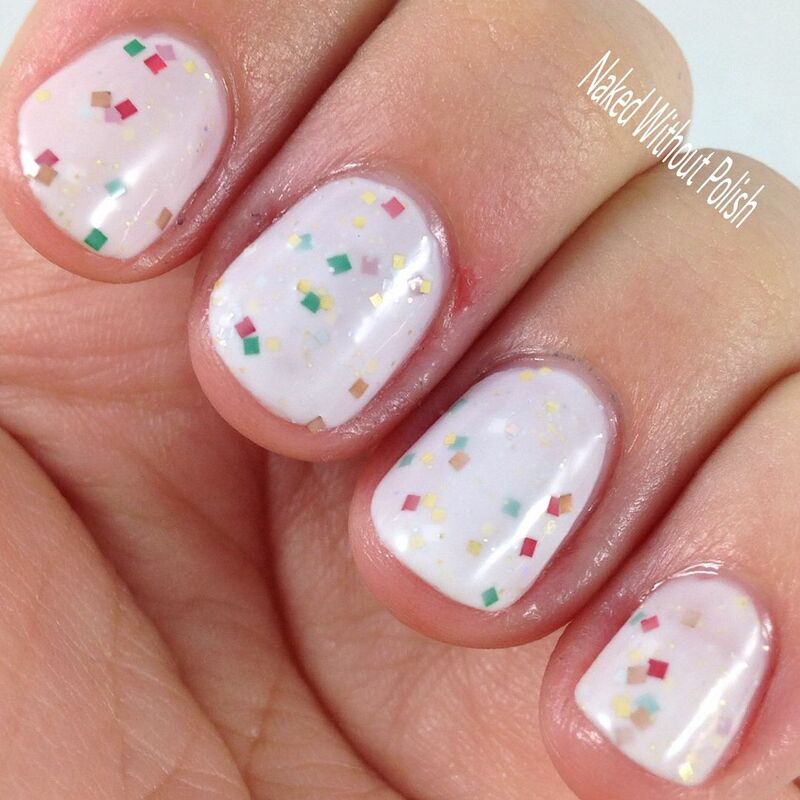 You'll maximize the amount of glitter on your nail without all the excess base to thicken your nail. I've paired it with Caroling Dress (from the same collection) so you can see it over a contrasting color. They paired beautifully! 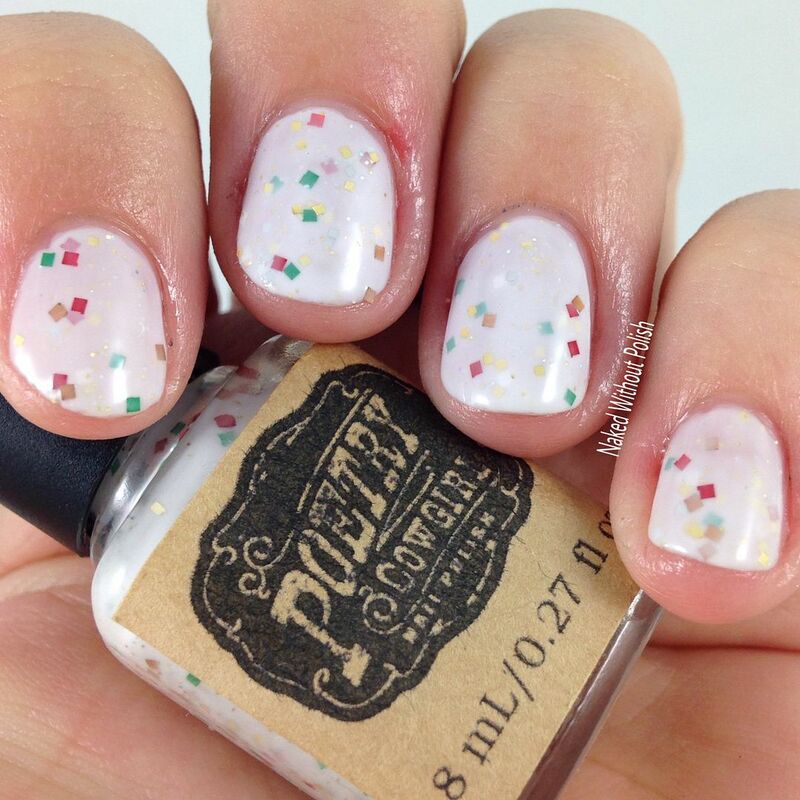 Peppermint Candy is described as "a creamy white crelly packed with Tinsel glitters and added holo sparkles". 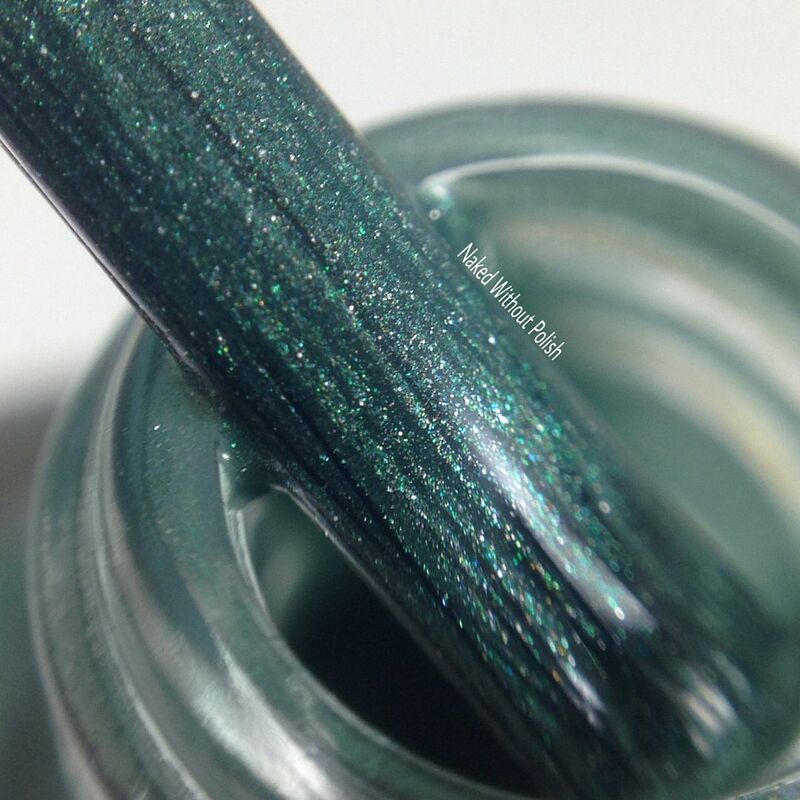 Shown is two coats of Peppermint Candy with top coat. 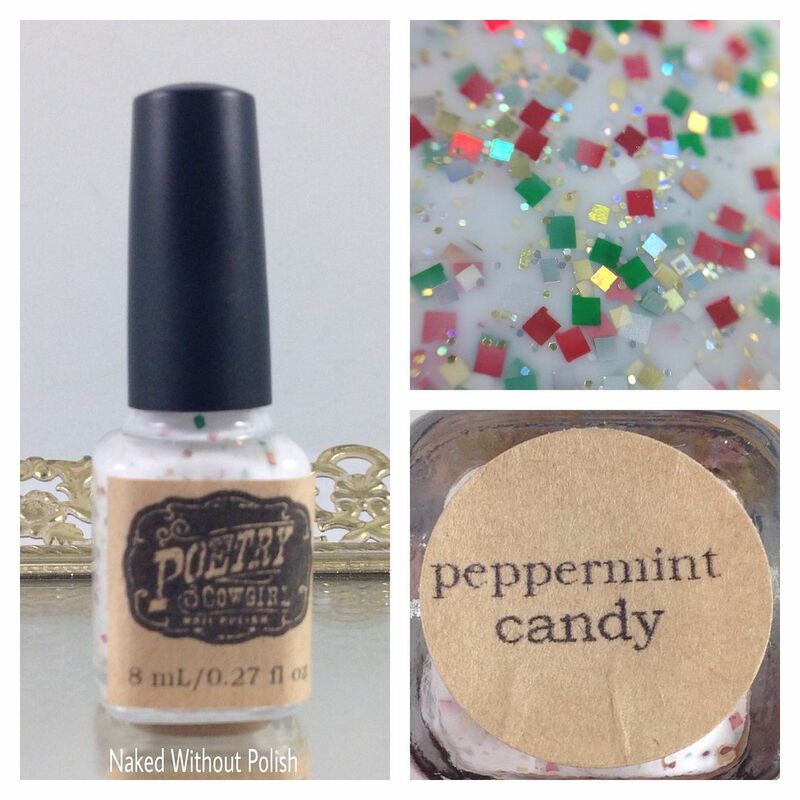 Peppermint Candy is light and lovely and will have you craving that sweet minty treat. It's no secret I love a good white crelly. This one is no exception. 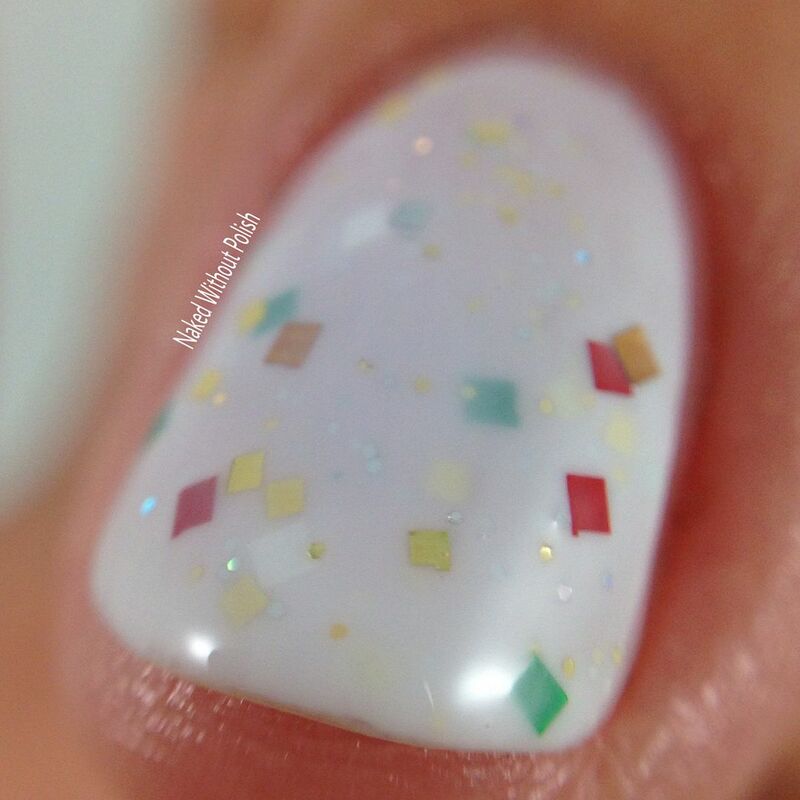 Beautiful application with just the right amount of glitter. 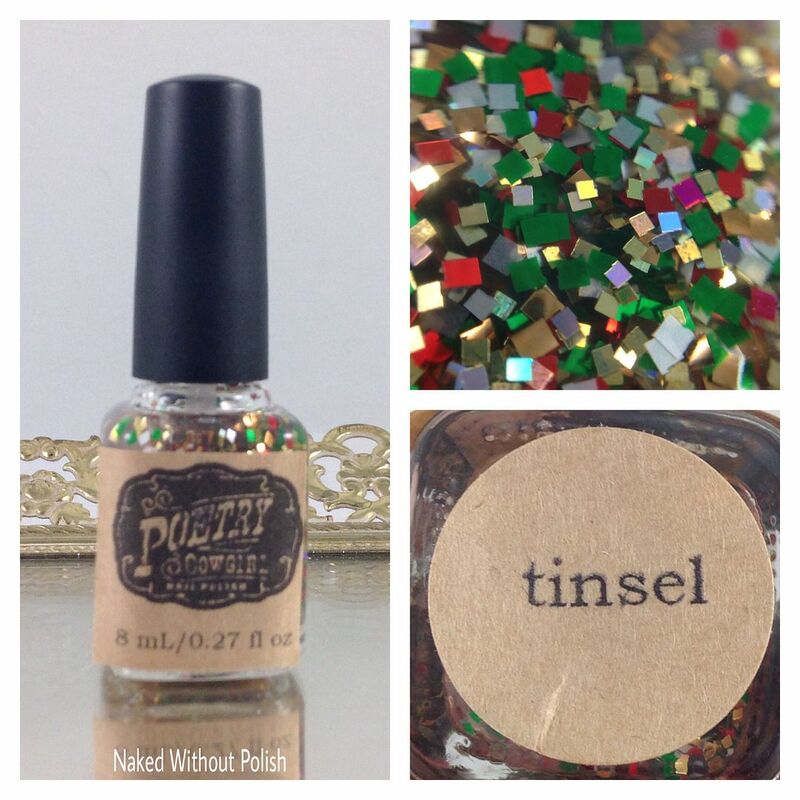 If you're one who wants more glitter, top it off with Tinsel! 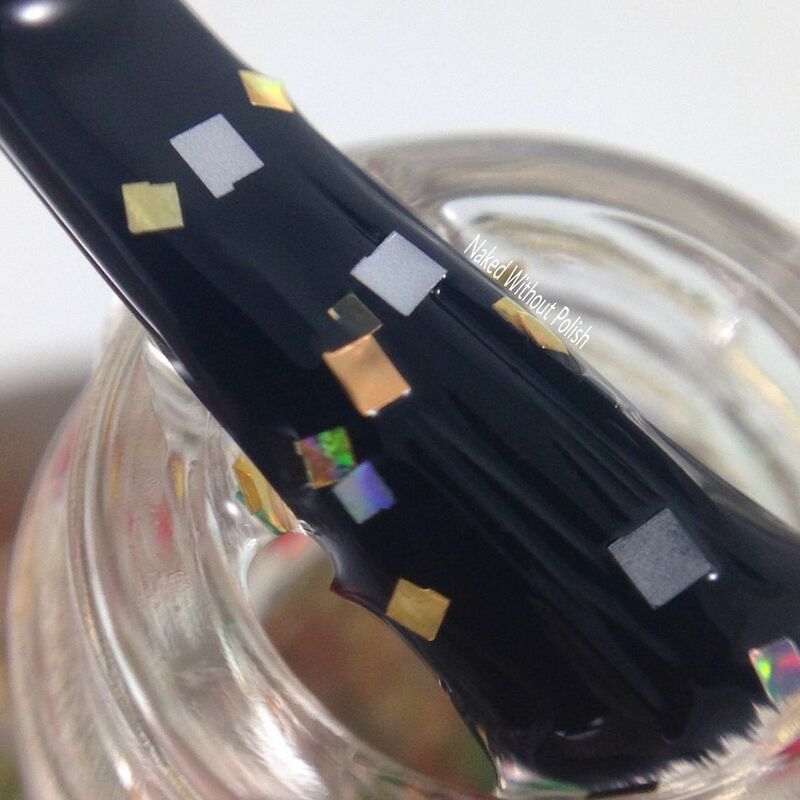 It's the same glitter! Why not? 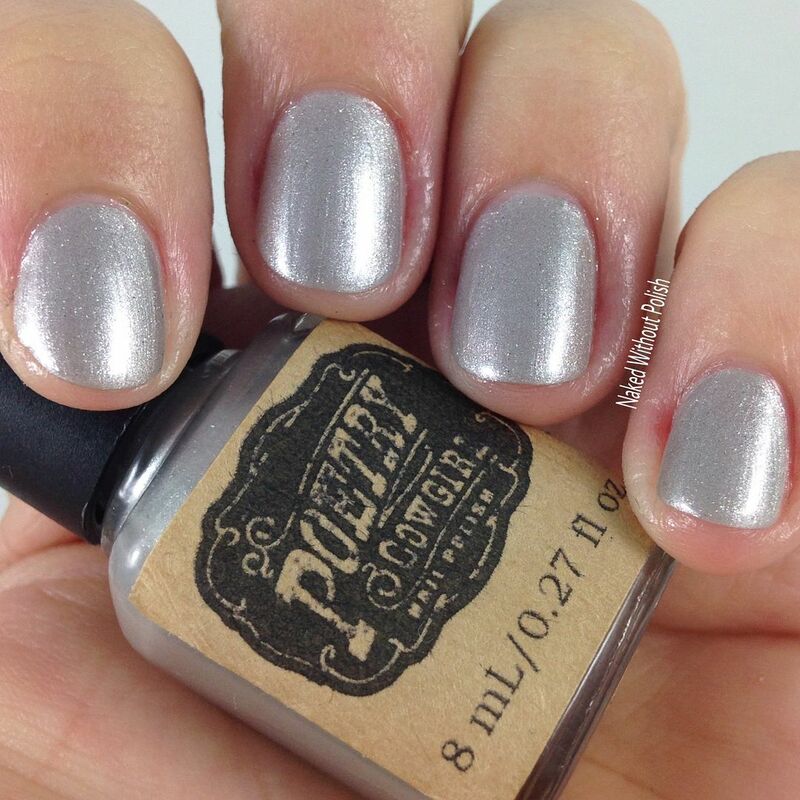 Silver Sleigh Bells is described as "a light antiqued silver shimmer with a metallic finish". 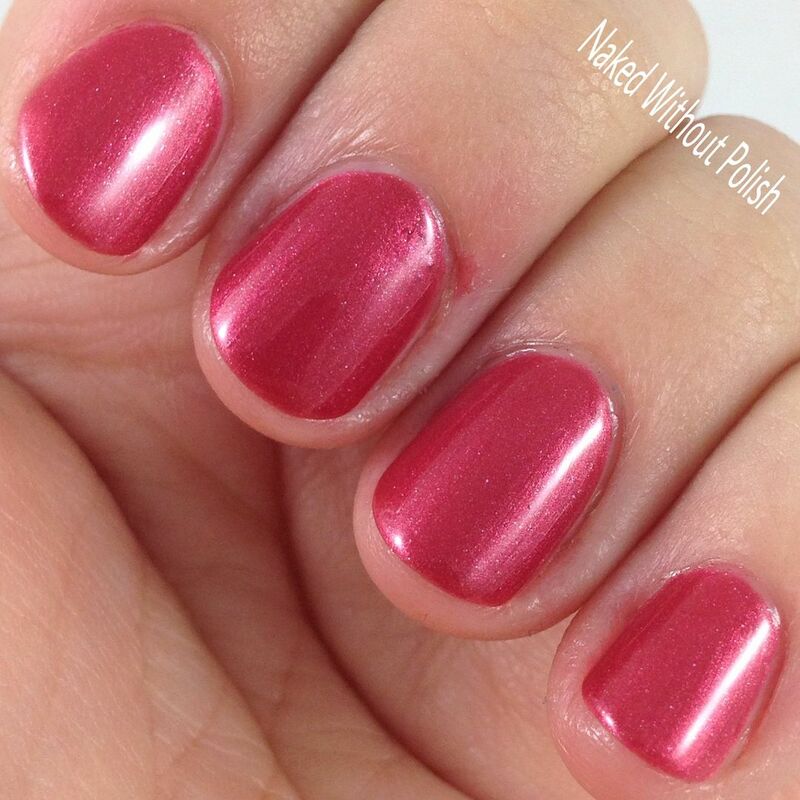 Shown is three coats of Silver Sleigh Bells with top coat. 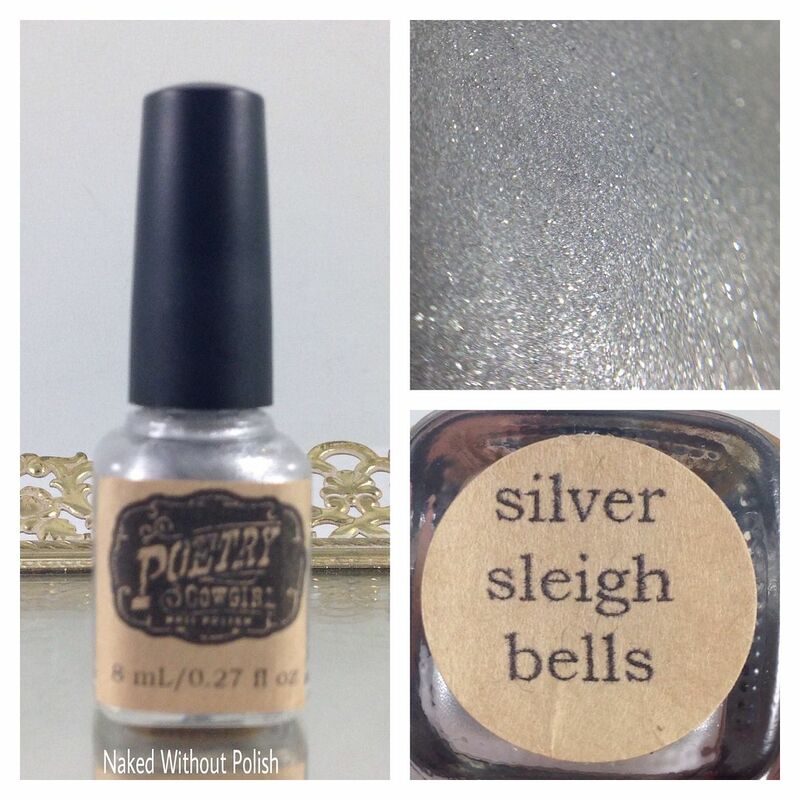 Silver Sleigh Bells just might be that perfect silver polish. 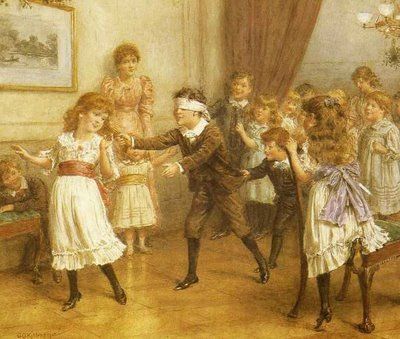 It isn't so bright that it is blinding. It is borderline grey, but it is definitely an antiqued silver. 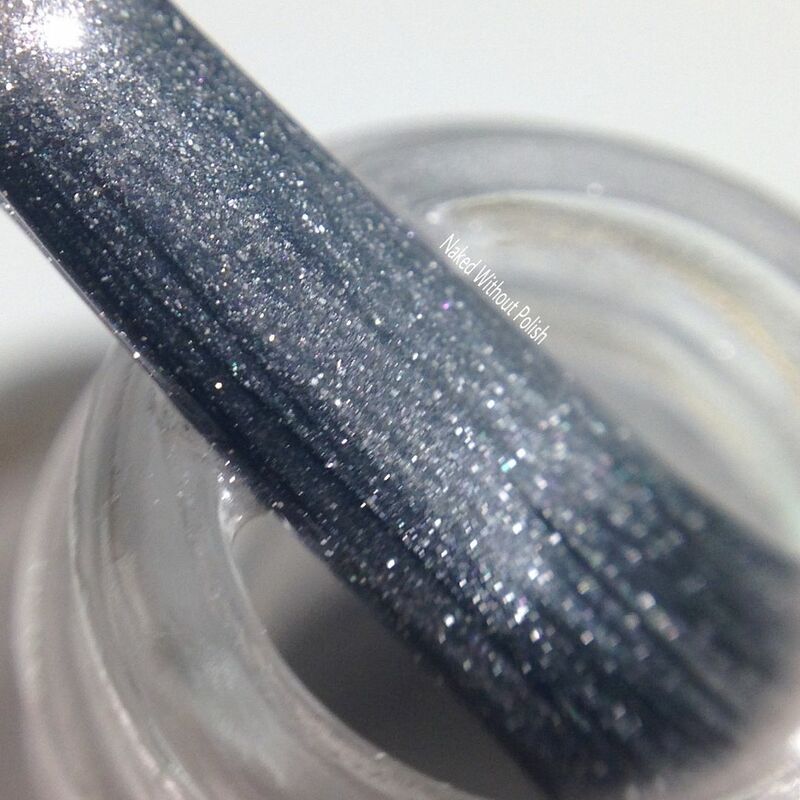 Smooth application, light brush strokes are still seen, but that is normal with metallics. It is slightly sheer, so three coats would be best. 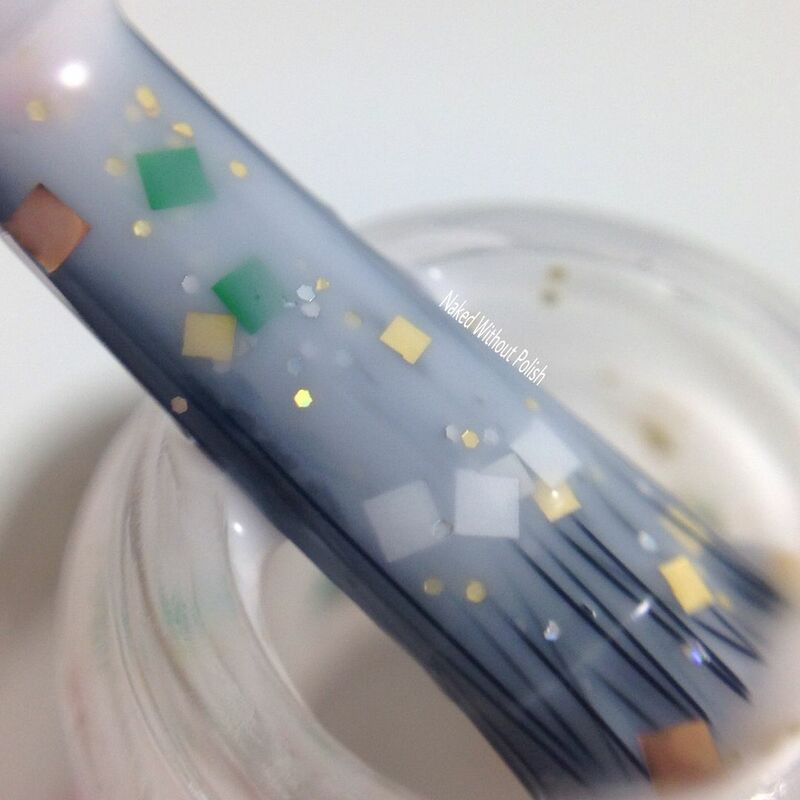 I'm not the best stamper, but it would be worth a shot with this one! 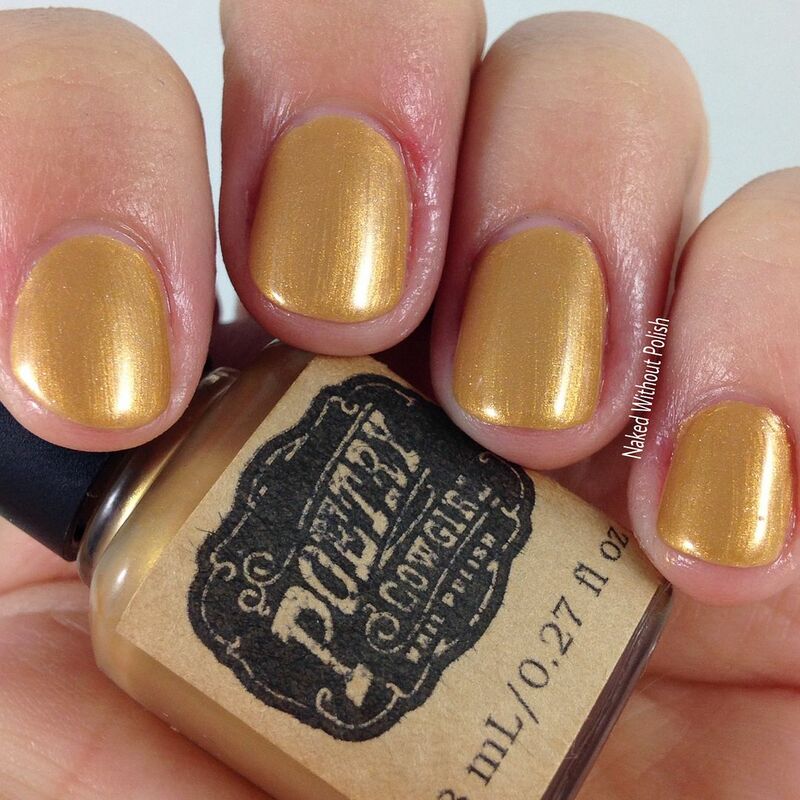 Gold Trinkets is described as "a warm antiqued gold shimmer with a metallic finish". 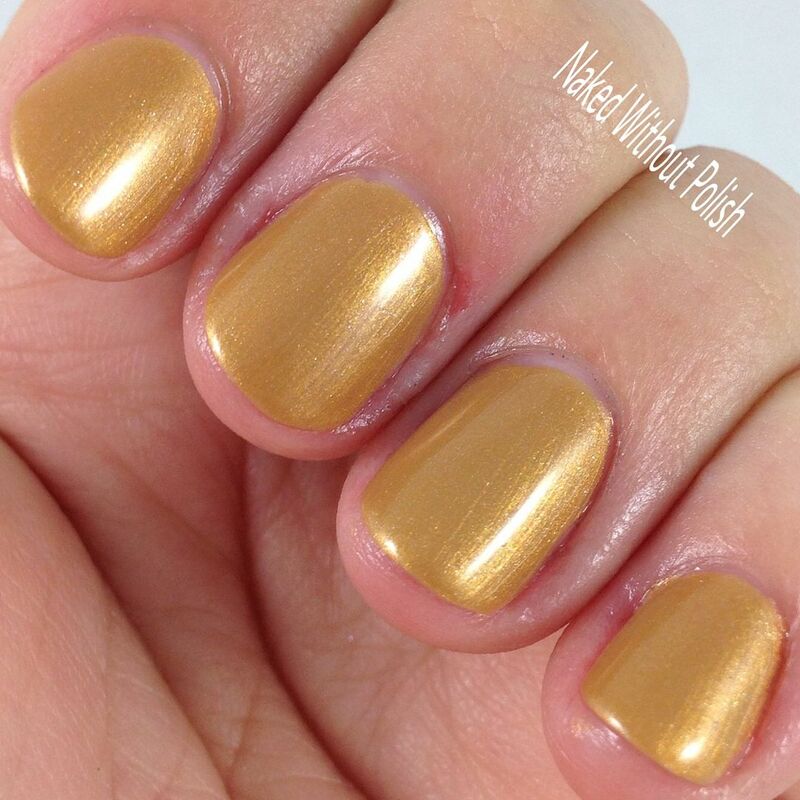 Shown is three coats of Gold Trinkets with top coat. 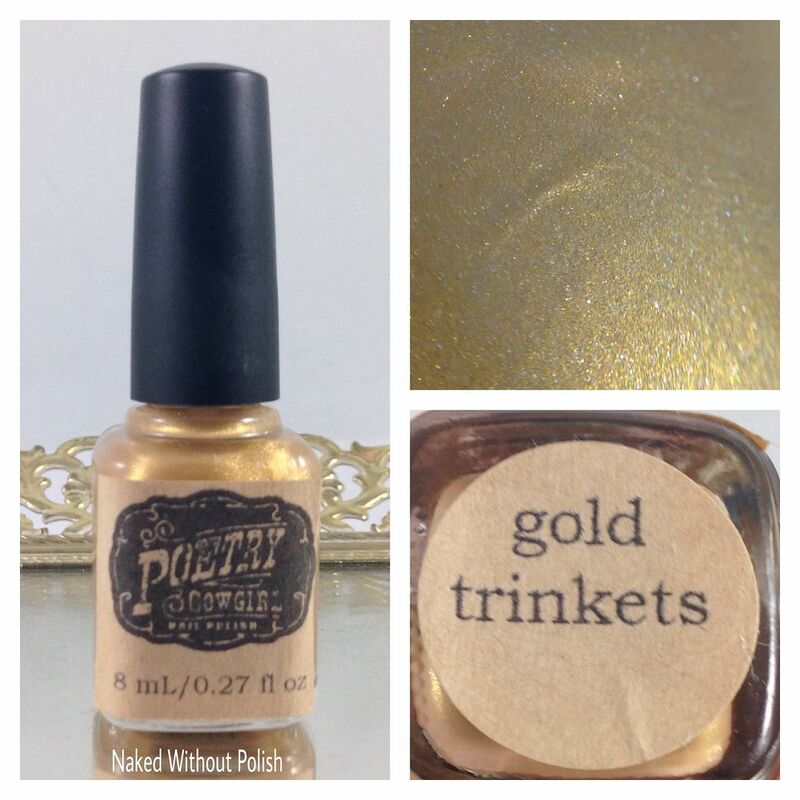 Gold Trinkets is almost an olive toned gold. 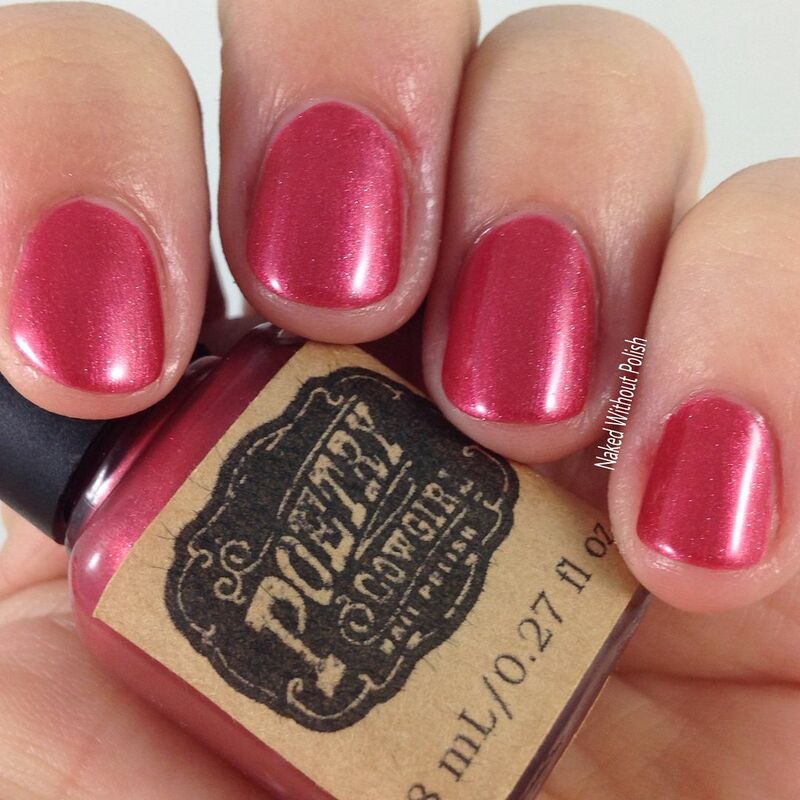 It's a beautiful shade, almost satin like. 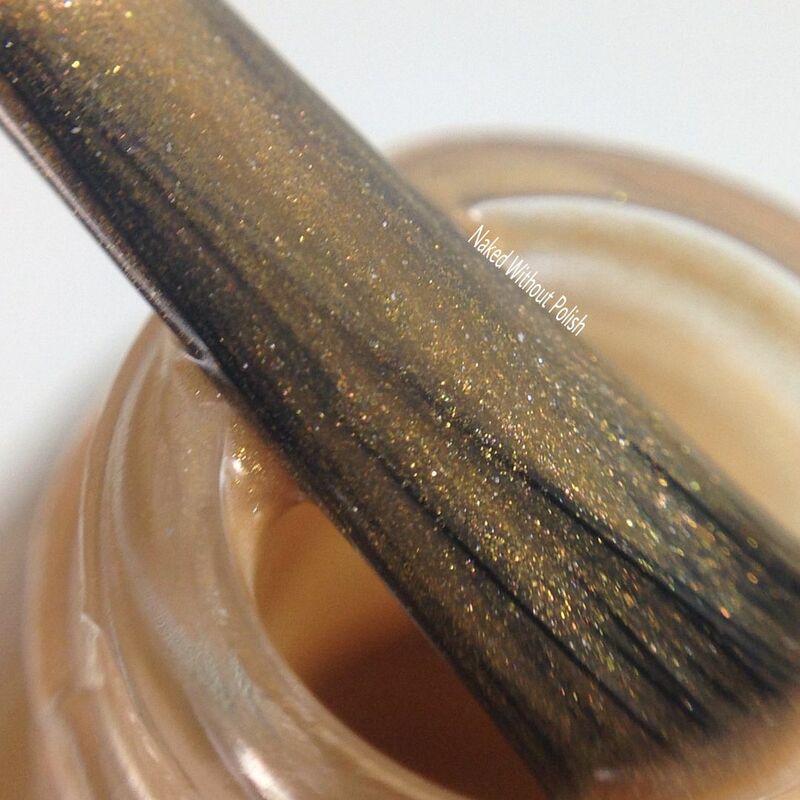 Beautiful application and formula, it is a metallic so expect some brush strokes still visible. It's not too bad. 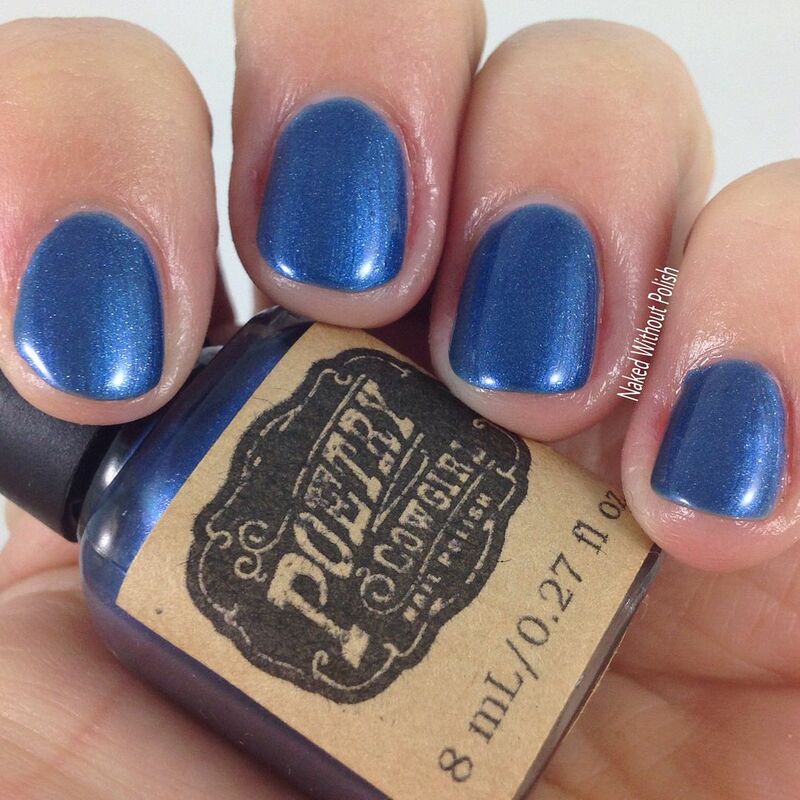 Such a beautiful polish. I almost want to paint some trinkets this color to leave on my mantle. 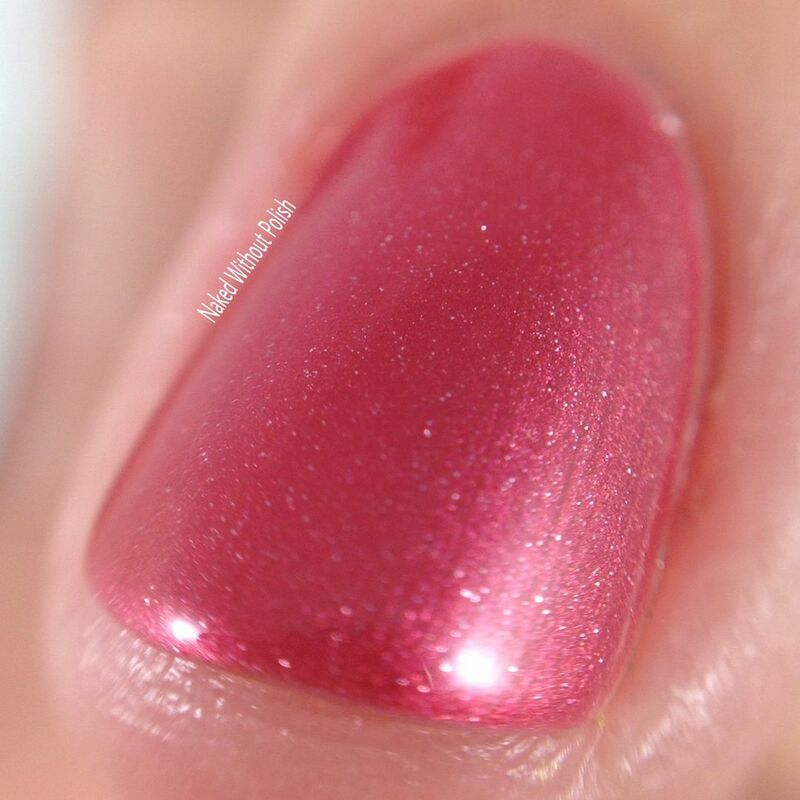 Parlor Games is described as "a rich dusty red shimmer with a metallic finish". Shown is two coats of Parlor Games with top coat. 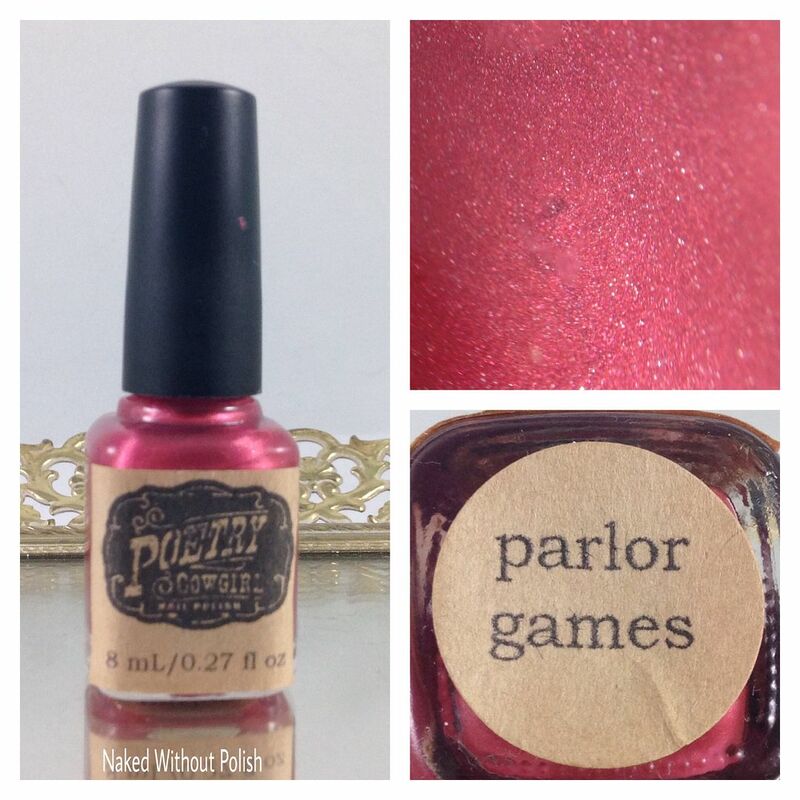 Parlor Games is a beautiful, year round, rose red. It's one of those basics that you want to keep on hand because you never know when you'll need a good red. 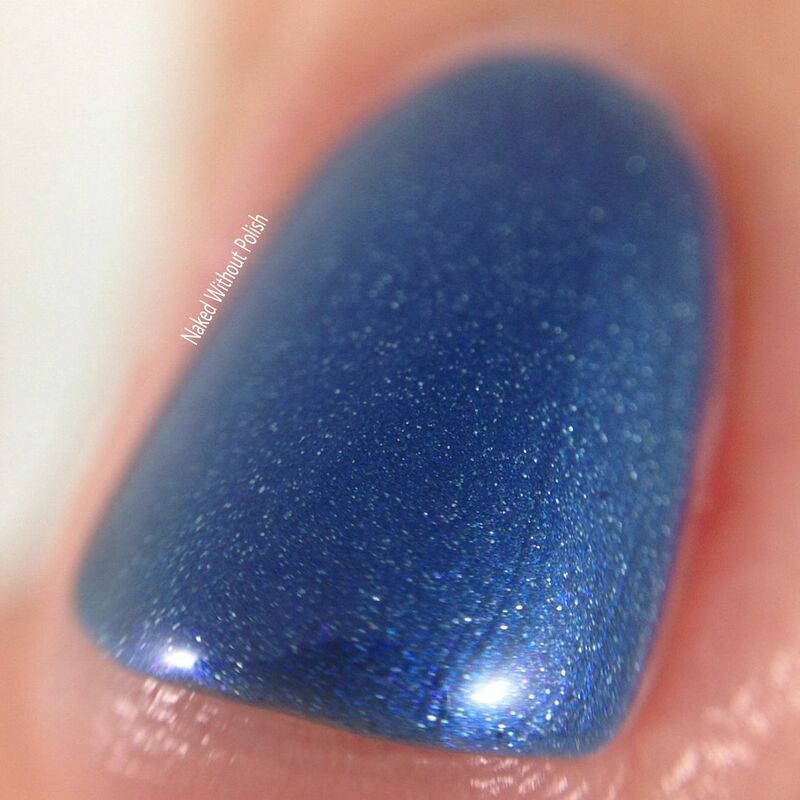 Gorgeous polish with a smooth application. It is a bit more opaque than the first two so only two coats is needed to get full coverage. I bet it would stamp too! 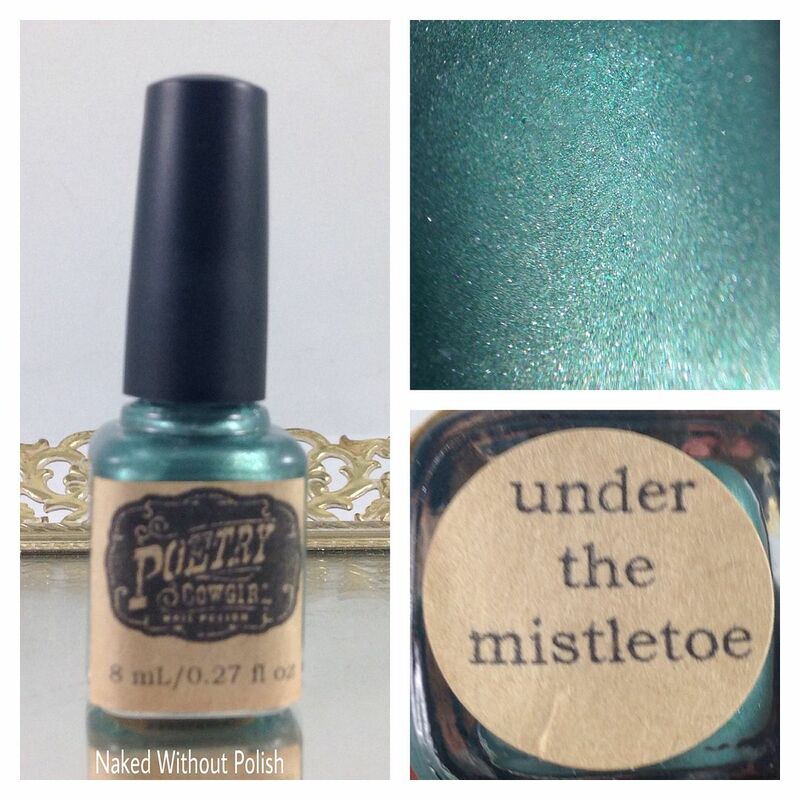 Under the Mistletoe is described as "a soft dusty green shimmer with a metallic finish". 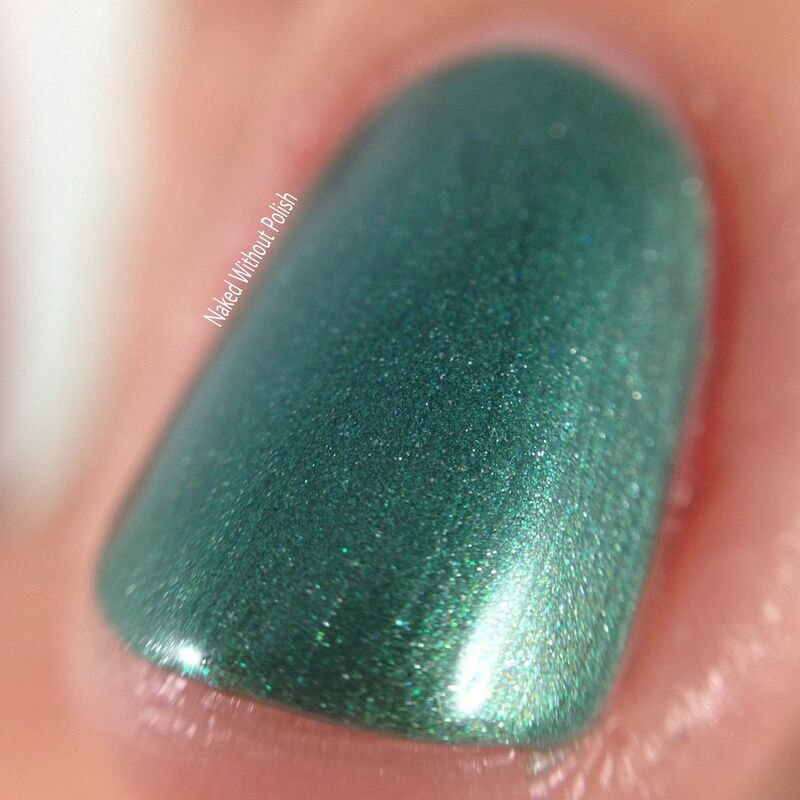 Shown is two coats of Under the Mistletoe with top coat. Under the Misteletoe made me swoon the moment I saw it. The shade of green gives me warm fuzzies. 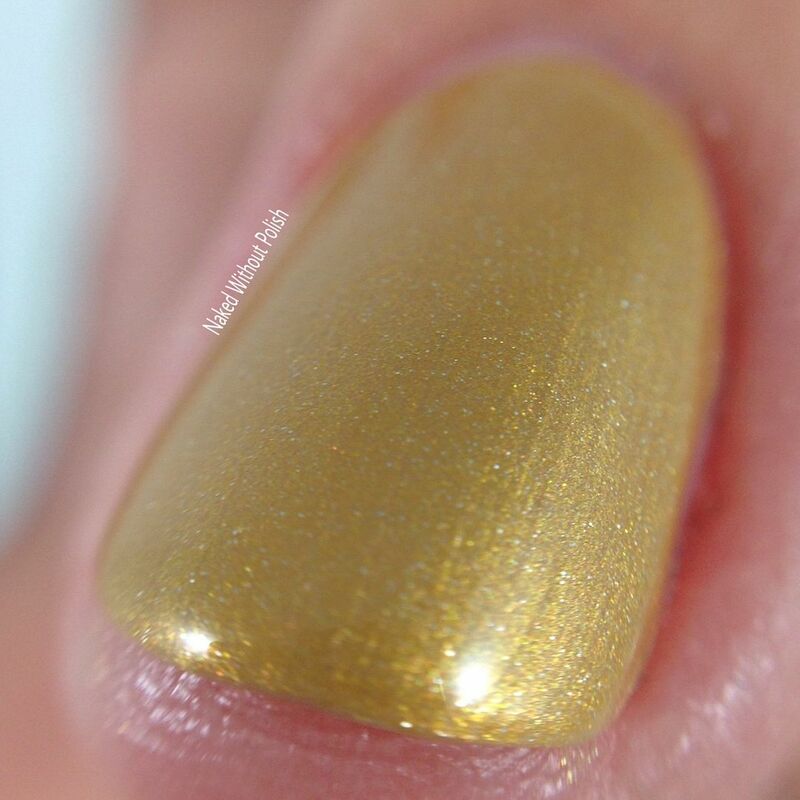 The slight metallic finish is the icing on the cake in this instance. 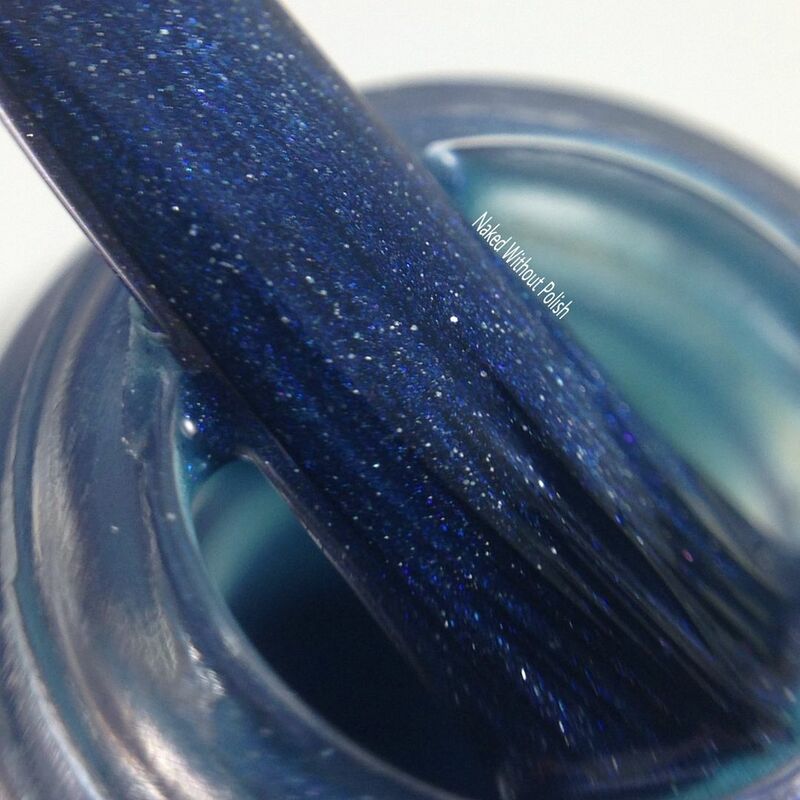 Two flawless coats will get you to full opacity. 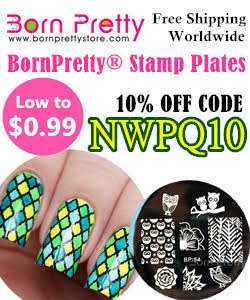 Use it on its own or in some nail art. You won't be able to go wrong. 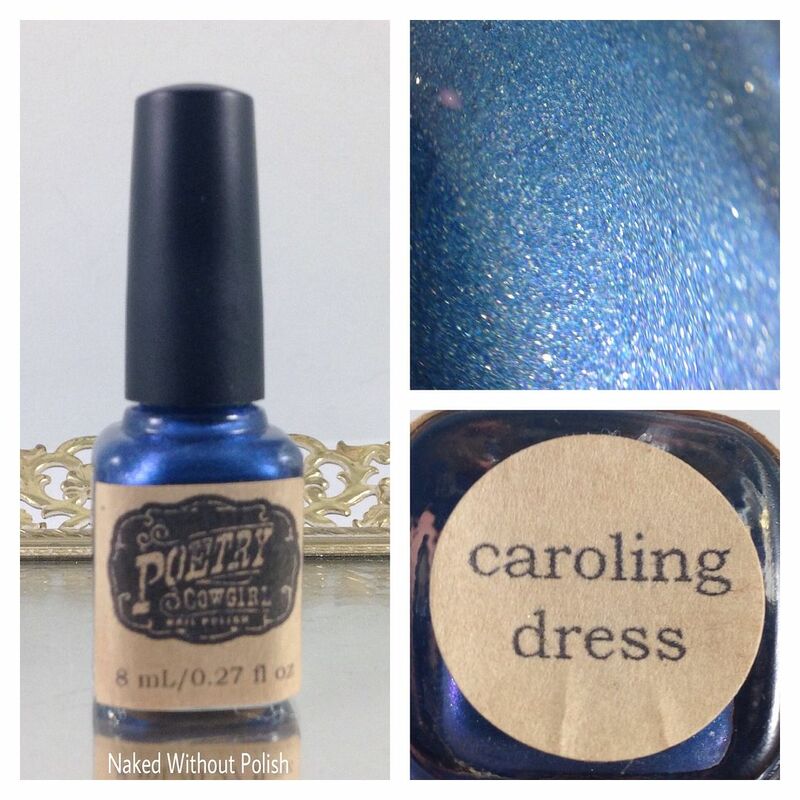 Caroling Dress is described as "a rich dusty blue shimmer with a metallic finish". Shown is two coats of Caroling Dress with top coat. Caroling Dress might be my surprising favorite of the bunch. This shade of blue is rich and beautiful. Anyone would want to wear a dress this color. Perfect for a girls night out! The was the one that didn't really show the brush strokes either. Definitely a nice touch! 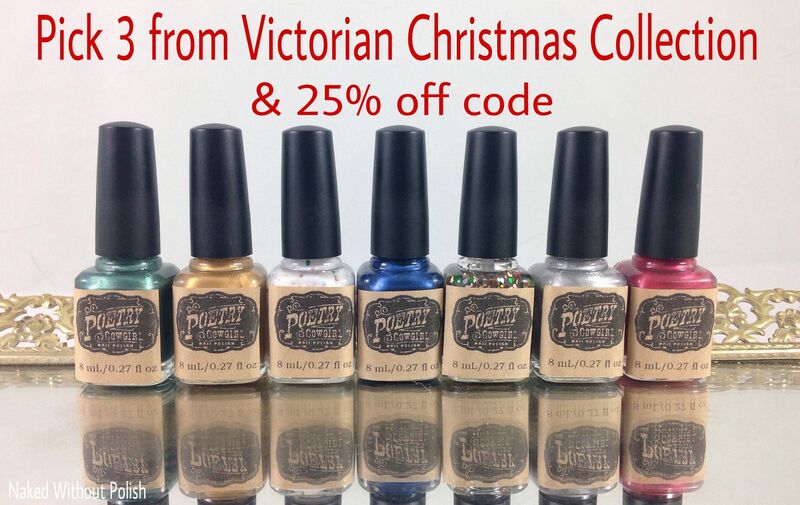 The Victorian Christmas Collection Will be available to purchase at www.poetrycowgirlnailpolish.com on Friday, December 2nd at 12 pm EST. The full collection will be $62 for 15 mL bottles or $38 for 8 mL bottles. Only want a few bottles? No problem! Grab them individually for $10 for 15 mL bottles or $6 for 8 mL bottles. NOW, for the big news! How about a giveaway? How about 25 giveaways? 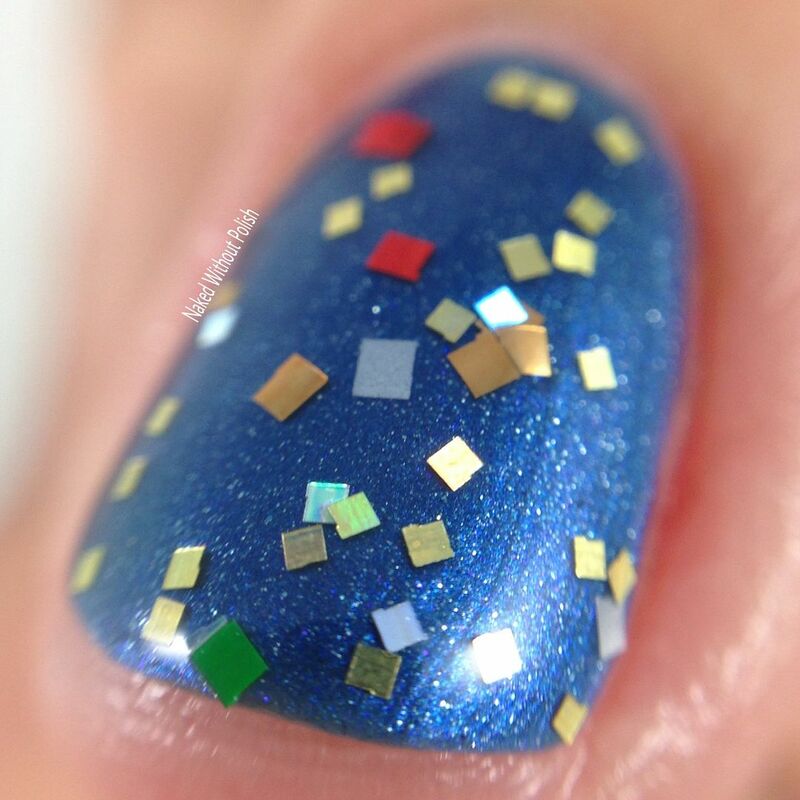 Yes, I'm doing my 25 Days of Polish Giveaway again!. It's like an advent calendar of giveaways. We will have a different giveaway each day. Each giveaway will be open from 12 am EST and will run for 24 hours until 11:59 pm EST. 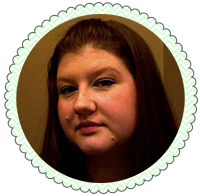 All giveaways will be entered via Rafflecopter here on my blog. Each day the Rafflecopter will be at the bottom of the daily posts (yes, I'll be posting every day this month...including weekends...for this giveaway). Each giveaway will have different rules. Some giveaways are international, some are US only. Please pay attention. All the prizes were generously donated by each brand, and will be sent to the winners by each maker (except for a couple that will come from me). Let's have fun! If you have any questions, please email me at nakedwithoutpolish@gmail.com. 3. No giveaway accounts. You will be disqualified. 4. Giveaway will run from 12 am EST on 12/1/2016 through 11:59 pm EST on 12/1/2016. 5. There will be 1 winner. 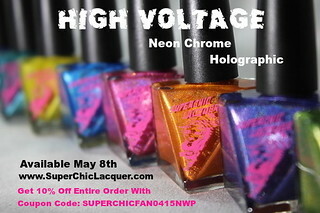 That winner will be notified via email provided in the first entry. The winner will have 48 hours after being notified to claim the prize. If the prize isn't claimed within 48 hours, another winner will be chosen. 6. Fraudulent entries will be disqualified. 7. Prize will be mailed directly from the provider. 8. This giveaway is not affiliated with any social media platforms. 9. The prize was donated by the manufacturer.